One of my math centers is usually a computer or technology center. Students will work either alone or in pairs (depending on the activity) using a computer or iPad. Aside from using websites in my centers I have often included links to games in weekly emails that go home to parents. Right now I am planning for odd and even numbers. These are some of my favorite FREE online games for these skills. Monkey Drive -This game is a lot of fun. It is my favorite out of the bunch. You steer a car to run into the barrels of bananas that have either odd or even numbers. The directions are clear and there is a tutorial where you can practice maneuvering the car before adding the math skill. Math Eggs: Even/Odd Numbers - In Math Eggs you use your mouse to control a basket. You try to catch eggs of either odd or even numbered chickens. I like that it lets you choose the speed. I find slow challenging enough because sometimes it is almost impossible to get all the eggs if they are coming at the same time. It can be frustrating for some perfectionist kids to miss any when they know the answer. Fruit Splat: Odd Even - To play Fruit Splat you target the fruit that has either an odd or even number. The medium level is perfect for 2nd Grade Common Core. Hoop Shot - Even Odd Numbers Basketball - In this game the player answers multiple choice questions like: What even number comes before 9? If you are correct, you get a chance to shoot a basket. Making the basket is a more challenging than getting the questions right. This game has different levels but I did not notice any difference between Rookie and Experienced. It does have a two player game which is a nice option if you have a limited number of computers. 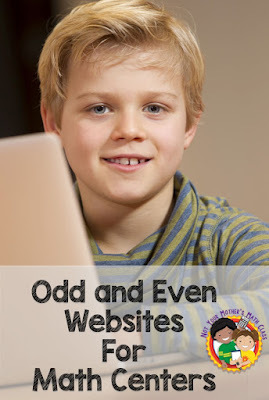 Bonus: Online Story - This is a cute story about odd and even that you can include in your lesson or have students read on their own. 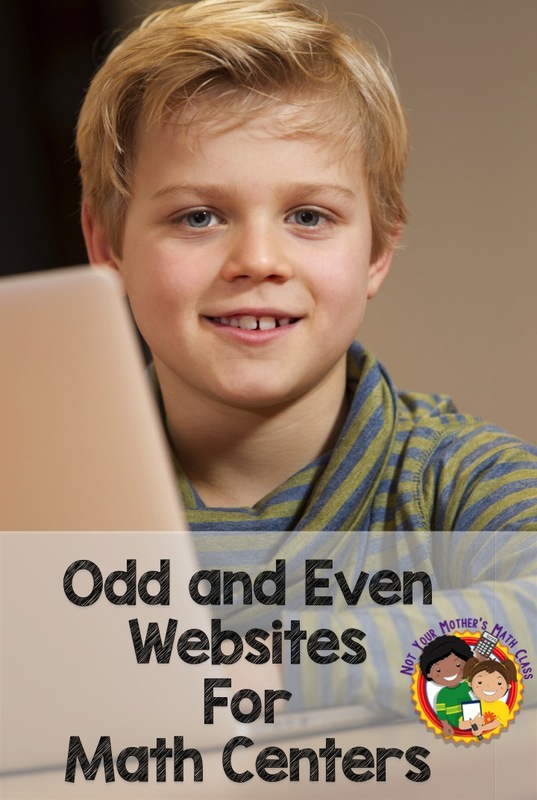 Do you have any great websites you like to use for students to practice odd & even?